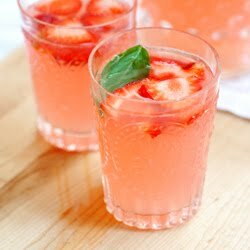 This week the regular cocktail blogger over at the Kitchn was away, so I filled in with a post about my strawberry basil margaritas. Mosey on over there and check it out. These are seriously some of the easiest cocktails I've ever made - you can throw together a whole pitcher in a few minutes. And they're so popular with my friends that I have to make a pitcher for pretty much every party I have. Longtime readers may recognize this as a re-do of this earlier post. Longtime attenders of Nancy parties may recognize this as one of their favorite drinks. This looks beautiful and tasty! I love the combo of basil with fruit in drinks, I'll have to try it out! 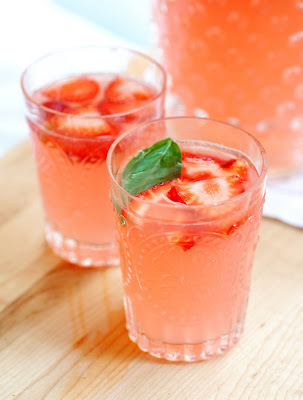 I had a strawberry basil drink this weekend, it's such a wonderful combo! I tried this recipe a couple days ago and it was PERFECT!!! It's tasty, simple to make, and a fantastic combination! I'm certainly going to be telling my family & friends about this! Thanks a bunch! 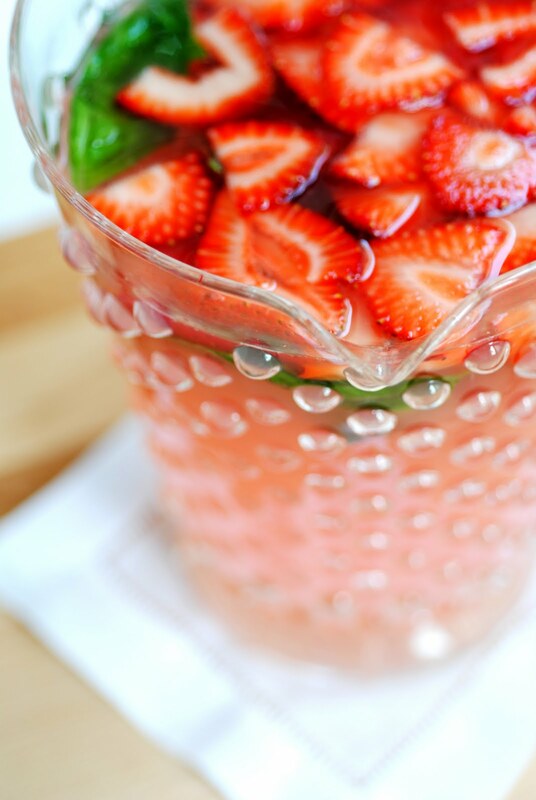 Strawberry and tequila - fantastic! Thx for article, love it! Looks yammy! Even More Harry Potter Cocktails.